SSMPropEditor 7.2 is covered by the Novedge Best Price Guarantee. 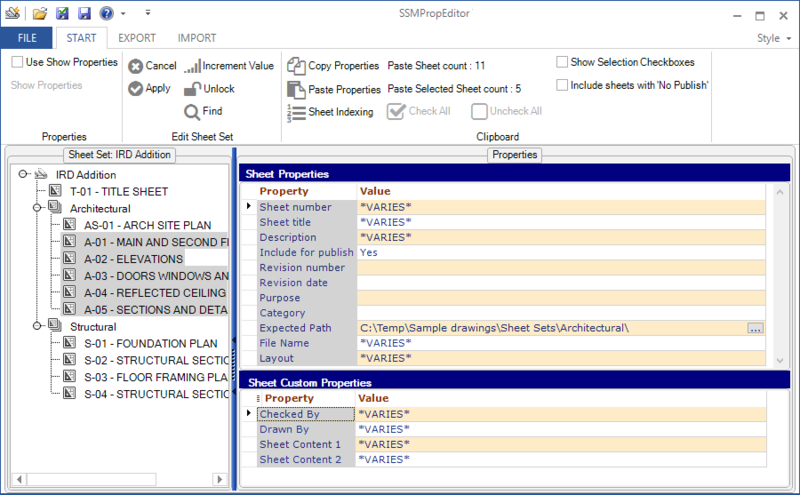 Use SSMPropEditor 7.2 Single License to edit properties on multiple sheets belonging to AutoCAD's Sheet Set Manager (SSM) or AutoCAD Architecture's Project Navigator (PN) Sheet Set View with ease. If you want to change properties like a revision, date or name on two or more sheets at the same time SSMPropEditor 7.2 is for you. Your productivity will increase and you will save time avoiding a lot of manual work. Launch your DWG application from the tree view opening the sheet drawing. The application could for example be AutoCAD, AutoCAD LT, or TrueView. SSMPropEditor 7.2 will save you time and money and make you less frustrated when you don't need to edit one sheet at a time. In order to work properly, your copy of SSMPropEditor 7.2 — Single License requires .NET Framework 4.6.1 or later. SSMPropEditor 7.2 Single License is a permanent license with support included and provided directly from the manufacturer.